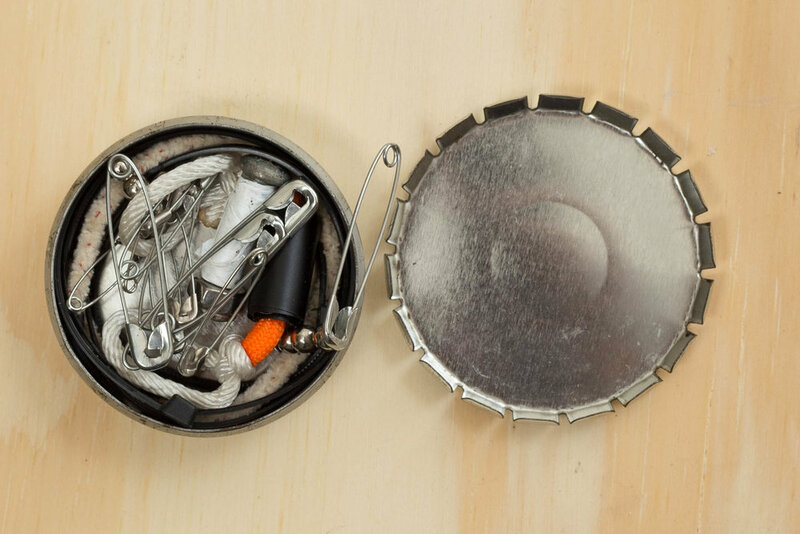 The best part of these small metal tins might be watching people figure out how to open them. I'll save you the trouble though—push the top down and the sides pop out. To close it, you squeeze the sides and they snap shut. This might seem like a silly way to keep the cover on but it means they only take one hand to open and close and it's just really fun. I've had these things for nearly two years and it's still awesome. I originally thought the metal would wear out in a few months but they still open and close with the same resilience. There's also no give or wobble once they're closed. They're perfect for keeping little items together and are easy to toss in a bag. And they're cheap. They come in blue, too.